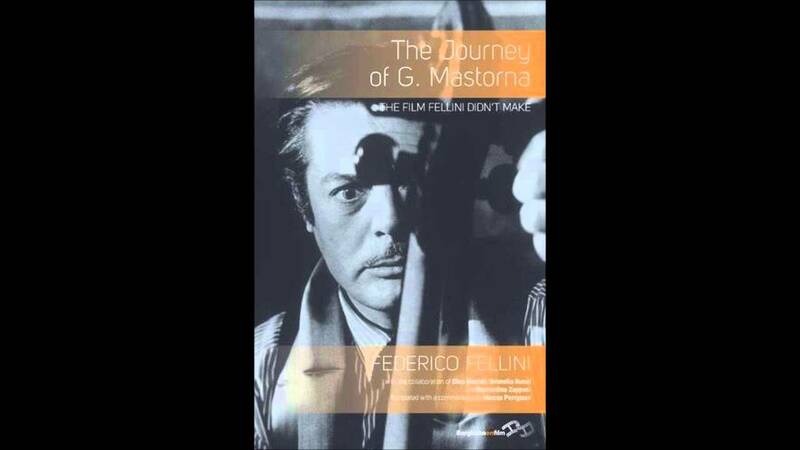 The following is an excerpt from “The Journey of G. Mastorna: The Film Fellini Didn’t Make,” which was released in an English translation by Berghahn Books in August. The book contains an annotated screenplay for this longtime passion project of the Italian filmmaker, which revolved around a musician killed in a plane crash who navigates the afterlife. This introduction, written by translator Marcus Perryman and reprinted with the permission of the publisher, outlines the history of the unfinished project. In 1965 Federico Fellini signed a contract with the producer Dino De Laurentiis to make a science fiction film based on Fredric Brown’s “What Mad Universe.” For all that this might have interested Fellini after his pretend spaceship and red-herring escape scenario in “8½,” he quickly changed his mind; instead of “What Mad Universe” he began writing an original script of his own, “Il viaggio di G. Mastorna,” based on an idea by Dino Buzzati, whose collaboration he sought and secured. He sent De Laurentiis a long letter which amounted to a ﬁrst draft of the script. Fellini signs off repeating his perplexity about the ending. It’s not hard to guess what De Laurentiis made of this uncertainty. Fifteen years earlier, he had sent back a script on Ulysses to Orson Welles, because it lacked commercial appeal. But De Laurentiis had backed out of “8½,” yielding to Angelo Rizzoli one of Fellini’s greatest successes, and the mistake still smarted. Despite the hiccup of “Giulietta degli spiriti,” Fellini was still a filmmaker De Laurentiis could bet, if not bank, on. Several months later, with help from Brunello Rondi and the contribution of Dino Buzzati, the script had grown to over thirty-three thousand words. A few scenes had been dropped, many added, and the ending had been put in place, introduced by one of the few cinematic instructions in the script, a voice-over. Much has been made of Fellini’s scripts, or lack of them. His co-scriptwriter and lifelong friend Tullio Pinelli has said that, contrary to popular belief, Fellini stuck closely to them. Evidently, Fellini didn’t think scripts were for actors. For him they were accurate descriptions of the scenes that would be shot, verbal storyboards, giving the rhythm and architecture of a film; they didn’t need to indicate anything about the mechanics of shooting (camera movement, lighting, depth, and so on) or give the actors their lines. This is reflected in the “Mastorna” script, which only indicates ‘Exterior’ or ‘Interior,’ and a generic location, without further shooting guidelines. The dialogues are sometimes perfunctory, at other times utterly critical. However, they often have the feel of interleaved monologues, two people talking at cross purposes, part, of course, of the nightmare world being portrayed. Buzzati wanted the dialogue to fizzle; instead it simmers. If Fellini had made the film in or around 1966, as he originally intended, apart from some inevitable serendipity on the set, it would have substantially followed the script in this book, if not always the dialogue. Vincenzo Mollica calls “Mastorna” the most famous unmade film in Italian cinema. Such were the accidents and deaths associated with it that he came to think of it as jinxed: food poisoning after he had met Buzzati, the death of Bernhard and then of the cinematographer Gianni Di Venanzo, almost Fellini himself in April 1967, when he was misdiagnosed and became sick enough to prompt a telegram from, of all people, the Pope. He shrouded the film in mystery partly to keep open the option of making it. Every new project he worked on after his “Satyricon” had first to get past the recurring thought, illusion or delusion of “Mastorna.” After the initial failure, Fellini tinkered with the script for the next ten years. He showed it to new co-writers Bernardino Zapponi and Tonino Guerra. He came close to returning to it after “Il Casanova,” which his analyst considered to be an important step in his self-therapy and one that “Mastorna” would have extended further. He read the fabulous tale that inspired his script – Buzzati’s story for children, “Lo strano viaggio di Domenico Molo,” serialized in the magazine Omnibus – when he was eighteen. At school he precociously challenged Dante’s vision of the Inferno: too neat and tidy. Landing in a blizzard in New York in 1964, he was gripped by sudden panic, and this became the opening scene of “Mastorna.” Mastroianni screen-tested for the film, paid a large penalty to release himself from theatre commitments in order to make it, re-enacted the screen test for an NBC documentary and then found himself without a film. He joked that they would make “Mastorna” in the afterlife. Bernardino Zapponi made his contribution to the script after the attempt to make the film had been abandoned. Mike Nichols offered a large sum for the script, which Fellini turned down. In the early 1990s Giorgio Strehler proposed making his directorial debut in film with Fellini’s script, and in 1993, the year of his death, Fellini encouraged Milo Manara to turn the idea into a comic strip, only once again to give up on the project after the first episode. By some mistake the first book finished not with “to be continued” but with “the end,” which Fellini, once again, took as a bad omen, the last. There’s a film, I mean the idea, the feeling, the suspicion of a film I have been carrying in my mind for fifteen years and has still not allowed me to get close enough to, trusted me enough, for me to understand what it wants. At the end of every film I make, there it is again, apparently claiming that now it’s his turn; it stays with me for some time, studies me a little, and then disappears. I’m relieved every time it goes away: it’s too serious, committed, uncompromising, not like me at all, who knows which of us would be willing to change. Now that I think about it I’ve never done so much as a sketch for this film, a scrawl; clearly when he makes up his mind he’ll tell me in a different way. Sometimes I even get the idea that it isn’t a film at all, but something else which I’m not yet able to understand, and then it frightens me a little, but I’m immediately comforted by the idea that probably, for me, the film is a pilot, in the sense that it is some sort of bizarre spiritual guide, ushering in other stories, other imaginings; and, in point of fact, when it goes away, unfailingly it leaves me with the film I’m going to make next.